The advice that Moses’ father-in-law has for him is critical and offers an important lesson for us. Moses had put himself in a well-meaning but unhealthy position. At first glance, he may appear as a mediator between the people and God, but he was in some ways playing the role of God in the lives of the people. Like Moses, we are all ministers. We are not called to handle ministry alone. We are not to discern God’s will in isolation. We cannot be the sole carrier of the burdens of others. It is just too much, and we are not the Christ. Instead, we are called to teach the Gospel and show people how to live it. We do not discern the will of God for ourselves, families, churches, or ministries alone. Instead, we gather wise and trustworthy people who help us listen to, pursue, and discern the will of God together. The great gift of the Church of Jesus Christ is that it is a community of faith, a family. 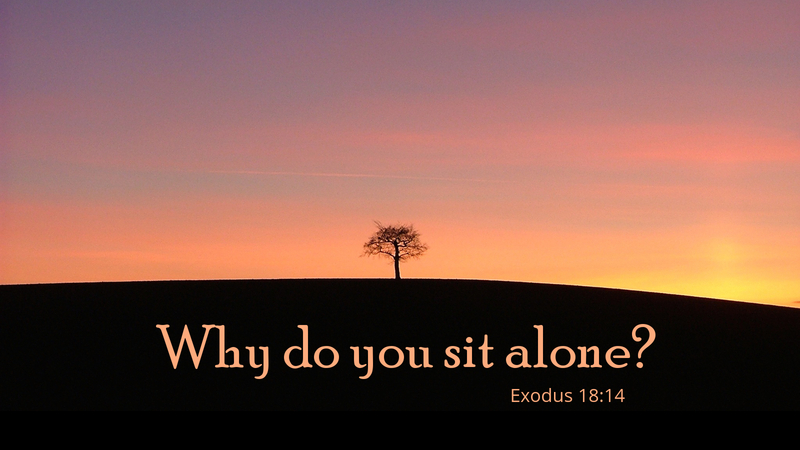 We are not alone and as Moses is reminded, it is not wise to try to live that way. Prayer: Wise and gracious God, give us the wisdom to recognize that we are all in this together and that we need each other, but most importantly, we need you. Today’s devotion was written by Marcus J. Carlson, pastor of St. Mark’s Lutheran Church, Auburn, IN. Thanks for this providential devotion. This will be our lead devotion for our church council meeting tonight at Salem Lutheran, West Alexandria, OH. We just joined the NALC since passing our second vote to leave the ELCA was on March 13. “We are all in this together and reassuring that we are not alone.” We appreciate the prayers and support from Pastor Powell, who oversees Southwest OH, and our current support pastors in Pastor Haferman and Pastor Hohulin.